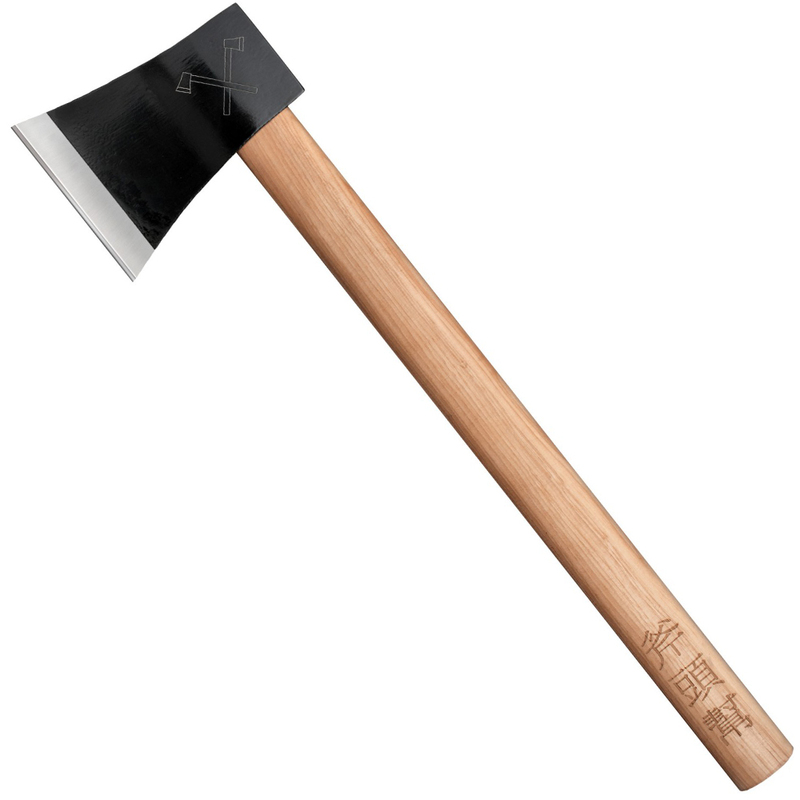 Cold Steel Axe Gang Hatchet is a great piece of axe to add to your tool shed. One thing about this axe is that it is made of authentic high quality steel. The blade area is quite broad and the handle is small but wide. The handle gives good area for a strong hand grip while the blade is strong enough to do some serious wood chucking as well as wood cutting. You can use it for variety other purposes. If you are looking for a strong and agile axe in your tool shed of your wood workshop, then this axe will not disappoint you.